James Rhodes- "The War Machine"
Name: James Rhodes "The War Machine"
Appearance: James Rhodes, nicknamed Rhodey, is a hansome man that wears suits or his uniform from when he is in the general's office. When he's not doing business or in his uniform, he likes to wear normal clothes. But he is sometimes seen wearing a suit of armor that is similar to the "Iron Man" suit built by millionare, Anthony Stark. A suit simply called "the War Machine." Personality: James personality is serious when it comes to the safety of both his friends or his best man, Stark. He is a man who takes situations seriouslly if they go bad. He is sometimes annoyed when Stark picks on him & tries to get him with a girl, but he isn't insterested, even though Stark keeps on trying. He takes his orders well done & he gets an assimen done, whether what the situation might be. James is also very confident of helping Stark when things go bad for him, though he is sometimes put in unliklly & silly situations with Stark. But he is a nice man to get to know, nonetheless. Photo: James Rupert Rhodes, from the South Philadelphia section of Philadelphia, Pennsylvania, is a lieutenant in the United States Marine Corps who served tours of duty in Southeast Asia. A combat pilot, he was stranded in the jungle behind enemy lines after his helicopter was shot down by Viet Cong rocket fire. He encounters Iron Man, or Anthony Stark, who escaped from Wong-Chu's prison camp in his prototype suit of powered armor, for the first time. Defeating the Viet Cong soldiers that ambushed them, Rhodes and Iron Man discovered an enemy rocket base that was the origin of the rocket fire that grounded Rhodes in the first place. Destroying the base with a stolen Viet Cong helicopter, Rhodes and Iron Man flew the helicopter back to the American defense perimeter. At the base hospital in Saigon, Stark arrives in person to thank Rhodes for helping Iron Man and to offer Rhodes a job as his personal pilot. After the Vietnam War was over and after taking several career paths including mercenary work, Rhodes finally took Stark's offer and became Stark's personal pilot, chief aviation engineer for Stark International, and one of Stark's closest friends. Soon, Anthony introduced Rhodes to a suit of armor that belonged to Tony Stark, the "ron Man" suits. 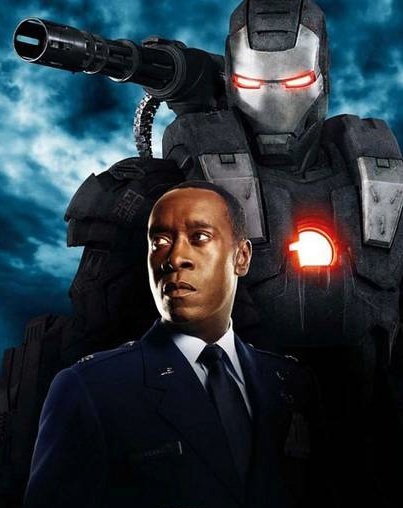 But Stark gave Rhodes a suit that belonged to the James Rhodes of before, the "War Machine" suit. accepting it, Rhodes took the suit & kept it. & like Anthony, he only uses it for display purposes only, he only uses it for combat if he is on any special missions. However, he has also been dinosaur fighting for 8 years, he started a year before he met Stark. He has his own dinosuars & has wone about 3 tournaments with them.